Unauthorized duplication of music is a violation of applicable laws. © Leah Tysse/Blue Juno Music, All Rights Reserved. © 2011 Written & Produced by Leah Tysse (Blue Juno Music, ASCAP) & Sundra Manning (Pink Piano Publishing, ASCAP). Leah Tysse - Lead & Background Vocals. Sundra Manning - Clav, Wurlitzer, Drum Programming & Group Vocals. Eric "Pikfunk" Smith - Bass & Group Vocals. Cedricke Dennis - Guitar. Lynette Williams - Group Vocals. Ronnie Smith - Group Vocals. © Written by Patty Griffin (One Big Love Music/Chrome Dog Music, ASCAP). Arranged by Mike Blankenship. Produced by Mike Blankenship, Leah Tysse & Eric "Pikfunk" Smith. Leah Tysse - Lead & Background Vocals & Programming. Mike Blankenship - Keyboards. Eric "Pikfunk" Smith - Bass. Chris Johnson - Drums. Errol Cooney - Acoustic Guitar. Cedricke Dennis - Lead Guitar. © 2011 Written by Leah Tysse (Blue Juno Music, ASCAP), James Harvey Moore (ASCAP) & Mike Blankenship (JAB Step Music, BMI). Produced by Mike Blankenship & Leah Tysse. Leah Tysse - Lead & Background Vocals. Mike Blankenship - Keyboards & Piano. Eric "Pikfunk" Smith - Bass. Chris Johnson - Drums. Errol Cooney - Acoustic Guitar. © 2011 Written by Leah Tysse (Blue Juno Music, ASCAP), Mike Blankenship (JAB Step Music, BMI) & Sundra Manning (Pink Piano Publishing, ASCAP). Produced by Mike Blankenship & Leah Tysse. Leah Tysse - Lead & Background Vocals, Ukulele & Chimes. Mike Blankenship - Piano, Strings & Drum Programming. © Written by S. Kupka & E. Castillo (Bob-a-lew Songs/Stephen Kupka Songs, ASCAP). Produced & Arranged by Mike Blankenship. Leah Tysse - Lead & Background Vocals. Mike Blankenship - Rhodes. Eric "Pikfunk" Smith - Bass. Errol Cooney - Guitar. Lynette Williams - Hammond B3. Ronnie Smith - Drums. Joel Behrman - Trumpet. Howard Wiley - Sax. 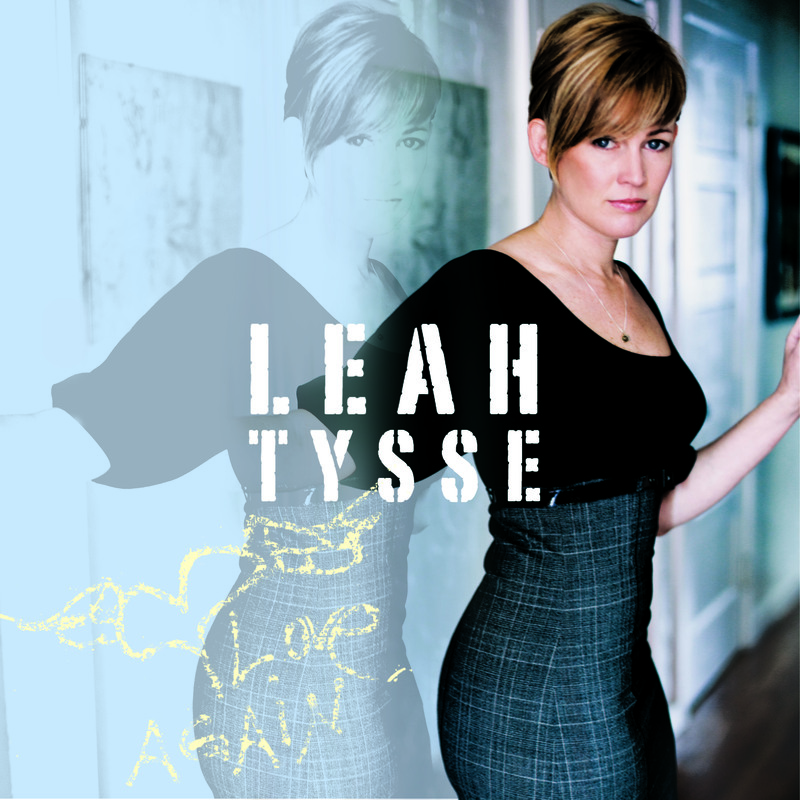 © 2011 Written by Leah Tysse (Blue Juno Music, ASCAP) & Lynette Williams (BMI). Produced by Leah Tysse, Lynette Williams, Mike Blankenship & Eric "Pikfunk" Smith. Leah Tysse - Lead & Background Vocals & Percussion. Lynette Williams - Hammond B3. Eric "Pikfunk" Smith - Bass. Errol Cooney - Guitar. Chris Johnson - Drums. Mike Blankenship - Keyboards. Joel Behrman - Trumpet. Howard Wiley - Sax. 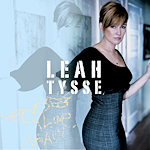 © 2011 Written by Leah Tysse (Blue Juno Music, ASCAP) & Lynette Williams (BMI). Produced by Leah Tysse, Lynette Williams & Mike Blankenship. Leah Tysse - Lead & Background Vocals & Drum Programming. Lynette Williams - Rhodes & Hammond B3. Mike Blankenship - Synth, Key Bass & Drum Programming. Errol Cooney - Guitar. Ronnie Smith - Drums. © Written by S. Carson & R. Armstrong (LP Productions, ASCAP). Produced by Leah Tysse & Rich Armstrong. Leah Tysse - Lead & Background Vocals & Ukulele. Fiachna O'Braonain - Acoustic Guitar. Thomas "Tasche" Cryer II - Rhodes. © Written by Tommy Sims (Universal Music - MGB Songs, ASCAP). Produced & Arranged by Mike Blankenship. Leah Tysse - Lead & Background Vocals. Mike Blankenship - Hammond B3 & Wurlitzer. Eric "Pikfunk" Smith - Bass, Errol Cooney - Rhythm & Lead Guitar, Ronnie Smith - Drums, Cedricke Dennis - Guitar Ad Libs, Lynette Williams - Rhodes on Outro, Howard Wiley - Sax, Joel Behrman - Trumpet & Trombone. © Written by Leah Tysse (Blue Juno Music, ASCAP) & Lynette Williams (BMI). Produced by Lynette Williams & Leah Tysse. Leah Tysse - Lead & Background Vocals & Percussion. Lynette Williams - Rhodes. Mike Blankenship - Strings & Synth. Artis "AJ" Joyce - Bass. Ronnie Smith - Drums. Cedricke Dennis - Counter-rhythm Guitar. Errol Cooney - Rhythm Guitar. © Written by Leah Tysse (Blue Juno Music, ASCAP) & Lynette Williams (BMI). Produced by Lynette Williams & Mike Blankenship. Lynette Williams - Synth Lead Line & Hammond B3, Mike Blankenship - Rhodes. Artis "AJ" Joyce - Bass. Ronnie Smith - Drums, Errol Cooney - Rhythm Guitar. Cedricke Dennis - Lead Guitar. © Written and Produced by Leah Tysse (Blue Juno Music, ASCAP). Leah Tysse - Vocals. Mike Blankenship - Piano. First I give thanks to God who makes all things possible and who constantly humbles me by making a way out of no way. Thanks also to my Mom, Harry & Grandma Breen for their unconditional love & support; to the memory of my Grandpa Breen; to Dad, Della, Lizzie & Garret; to the memory of my Grandma & Grandpa Tysse; to the memory of Linda & Gary Dingeldein; to Shallah & Charlie; Ted Stancliff; Jennifer, Will & Sophia Hammond; Dara, Jan & Torin Roberts/Stürmann; Aireene Espiritu; Kimberly Evans; Ellen Honert; Karen Goodman; Glide Memorial Church in San Francisco; Laura, Erin, Amy, Andrea, Kate, Dana, & Monica; Charlie Teall; Thom Myers; Janet MacLeod; Jack Cohen; Norman DeVasure & all my friends & fans for your steadfast support. Special thanks to all the musicians for your ridiculous talent, humor & musical contributions. I'm especially grateful to my co-songwriters & co-producers: Mike Blankenship, Lynette Williams, Sundra Manning, Jim Moore & Erik "Pikfunk" Smith. Thank you for hooking me up when I needed it most, keeping me on task & believing in me. There's no way I could have made this album without you.